Most drivers have no clue how to change a flat tire. The Fix-A-Flat Ultimate 1-Step brings new-car technology to every car on the road. No more waiting for a tow truck or bothering with a jack and spare. Simply connect one end to the tire and the other to the power outlet, and in seven minutes you are back on the road. The tire will be sealed and inflated using the built-in tire gauge and lasts up to 500 miles. The powerful 12-volt tire inflator can also be used without the sealant to top off a low tire any time. 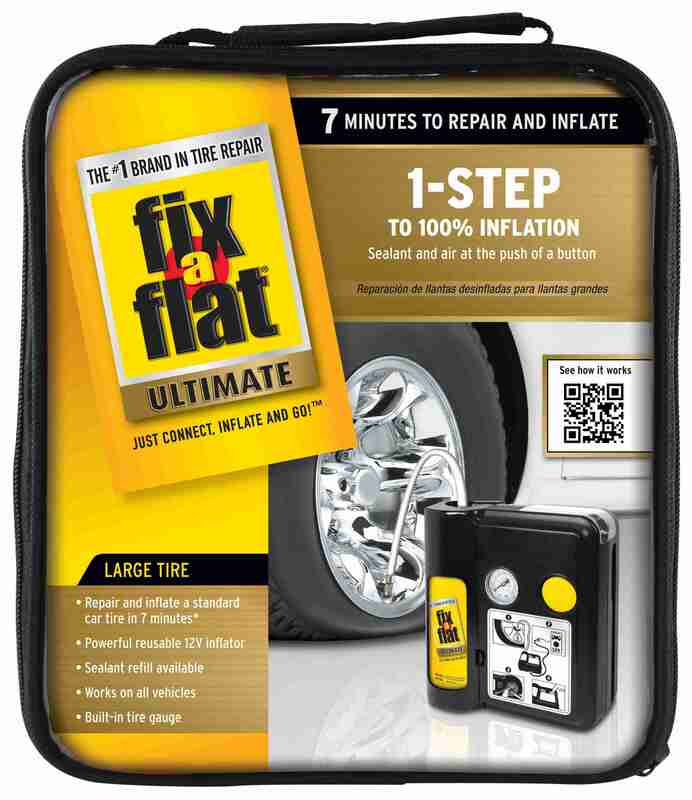 A sealant refill is available, which means the Fix-A-Flat Ultimate 1-Step is the last spare tire you will ever need.